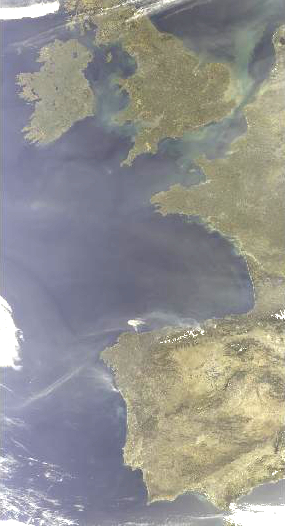 The Envisat satellite sent its last data to earth on the 08 April 2012 after an onboard anomaly; still under investigation. Recent images taken from the ground and Pleiades satellite show it probably tried to enter safe mode, which would have been the first time, but failed to do so. Since then communication has not been re-established and the European Space Agency (ESA) have informed the world that no new data will be acquired although communication attempts continue in the short-term. This is an unexpected, but not unsurprising, as the satellite has significantly exceeded its design life. In addition, it leaves behind a 10 year archive that will be worked on for the next 5+ years as Phase F of the mission. This end to an era has been reported negatively (e.g. article in the Economist on the 12 May 2012), but can also be seen as the push that the future needs. The European Commission (EC) and ESA are developing the future GMES missions with first planned to be launched in 2013 assuming ongoing budgetary discussions are resolved. Copernicus ready for lift off! This entry was posted in Envisat, GMES and tagged Envisat, GMES by Sam. Bookmark the permalink.